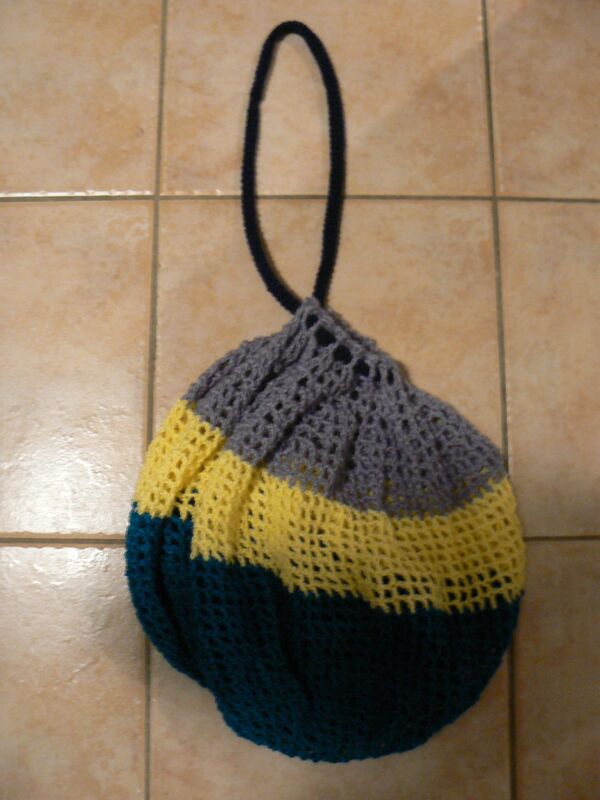 I designed this bag as an experiment in filet crochet in the round. 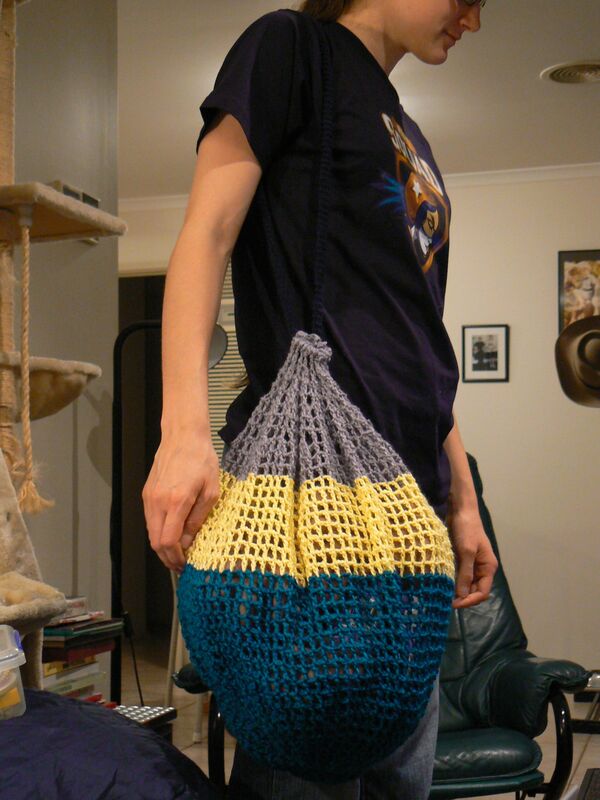 It’s very big but I don’t think you’d want to put anything too heavy in it because it’s stretchy. It’s good for carrying bulky but light items. It is the kind of massive bag that I would need when wool shopping. My dad suggested that it would be good for fruit like bananas because it’s soft and wouldn’t bruise them. If you wanted to make it smaller you could just cut out of some rounds 13 – 32. Also, you should make the strap a length that is comfortable for you. If you want it to be less stretchy you could try making it out of cotton. The bag is about 93 cm long including the strap. It is made with a 3.5 mm hook and 8 ply wool. The pattern is written in American crochet notation. Chain 6 and slip stitch to form a ring. Sc around until the shoulder strap is 90 cm long. Thread the shoulder strap in and out of the boxes at the top of the bag. Then sew the ends of the strap together.